Many homeschooling moms feel pretty incompetent when it comes to teaching things like fine arts. "If I can't draw a stick figure, how can I teach art?" they may ask. See the Light is a new possibility for such moms. Their tagline, "Drawing Children to Him" sums up some of the appeal of this program. We own The Gift of Love, and my boys (especially the 10 year old) absolutely love it. So when I had the chance to review (and giveaway!) The Crossmaker, I jumped at it. We love the art lessons. 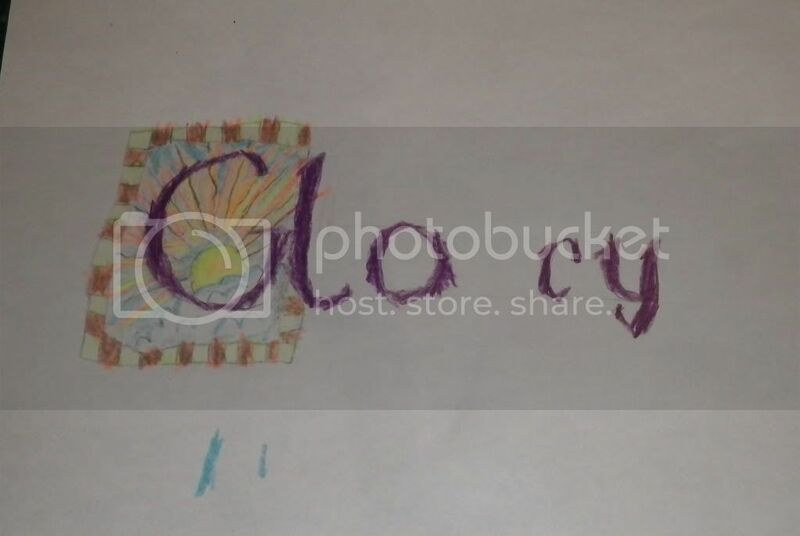 The first lesson is creative lettering on the word "Glory" with Heidi Shorts. I have some first attempts to share. I say first attempt, because on The Gift of Love, the kids did and re-did and re-re-did the "Rejoice" project, and were really quite good at it after 3-4 attempts. The second lesson is a chalk pastel lesson, "He is Not Here, He is Risen" with Pat Knepley, where the students are instructed in creating a picture with fluorescent pastel accents that really POP when you use black light. This lesson includes some art history/art appreciation showing a couple of ways that artists have depicted the resurrection. The picture they worked on is of the empty tomb, with the women approaching it and the angel sitting on top of the stone. The third lesson is "Cross Hill" taught by Jim Pence. My kids chose to work on this one next, and I'll post some pictures when I announce my giveaway winner. This one is of the empty crosses on a hill with the sun setting behind them, and it uses ink, watercolors, and fluorescent crayon. I particularly loved his tip on keeping plenty of water on hand, and I wish I had seen this before we did a watercolor class a year or so ago. This is my kids' favorite lesson as they were really drawn to Jim. As a mom of mostly boys, I definitely appreciated having a male artist in the mix. So, the other main part of this DVD is the Bible story. I was not as happy with this one as I was with the Christmas DVD. It starts off with Grandpa starting to tell his grandchildren "a true story, an exciting story, and a Bible story." This is all live action. Then he launches into a story about Dominic, a young carpenter who starts working on a rush order for a cross. His father is busy working on a door for Pilate, so Dominic has to make and deliver this standard two beam cross. The story of the crucifixion is told through the father, a Roman guard, and from Dominic's direct observations. Dominic ends up feeling absolutely horribly guilty for having constructed the cross that God died on. And of course, the resurrected Christ appears to Dominic days later and forgives him. All of this is illustrated with great artwork. It isn't that I mind the story, exactly. But I don't like it being introduced as "true." I think if Grandpa had introduced the story as how one boy might have witnessed the true events, I would be okay with it. Of course, my teen was arguing that many scholars think that what Jesus would have carried through the streets was the cross-beam only and other little details. There are also a number of special features. My favorite involves watching Gloria Kohlmann creating an incredible chalk drawing with music in the background. Next favorite is her creating an incredible chalk drawing and narrating what she is up to as she does it. 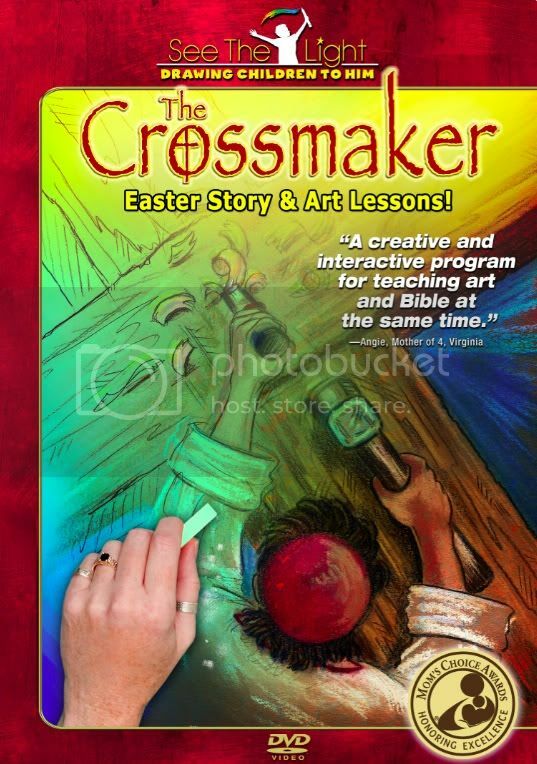 Do you want to win your own copy of The Crossmaker? I get to give one away to one of my lucky readers. Mandatory entry: Tell me why you want to win this in a comment. Easy peasy. share this giveaway on Facebook, Twitter or on your blog. Give me a link if appropriate. This giveaway will end on Thursday, April 14 at midnight Mountain Time. Or when I get up on April 15. I will use random.org to draw a winner and will do what I can to contact the winner. If I am unable to easily determine an email address, or if the winner does not respond within 48 hours, I reserve the right to draw a new winner. This looks AWESOME!! I'm an Art major--and every summer when my kids are out of school, I like doing art projects every day to keep them thinkin. I would use this for art AND bible time! I think I'll get it even if I don't win it! I want to win this for my art loving Turtlegirl!! I know she would love this! Like, Cristi, I'm starting to feel like an online stalker. I'm already your friend on FB. I would love to win because my daughter is naturally arty and I'm not. Some guided projects for her would be fantastic. I was just looking for what, if anything we wanted to do special/different about Easter for school this year, winning this would be PERFECT!! I am one of your Networked Blogs followers. Perfect for Easter and I love Chalk Art myself. See the Light has some awesome products! I'd love to win this dvd. We did one sample chalk art from another dvd and my kids are begging for more! I would like to win this so that I can show our kids at church and hopefully use it as a witnessing tool. I would like to win this to use with my kids to teach art. I am a homeschool mom of 3 and as many others out there funds are limited. I love the idea of bringing art and the Bible together in one lesson. 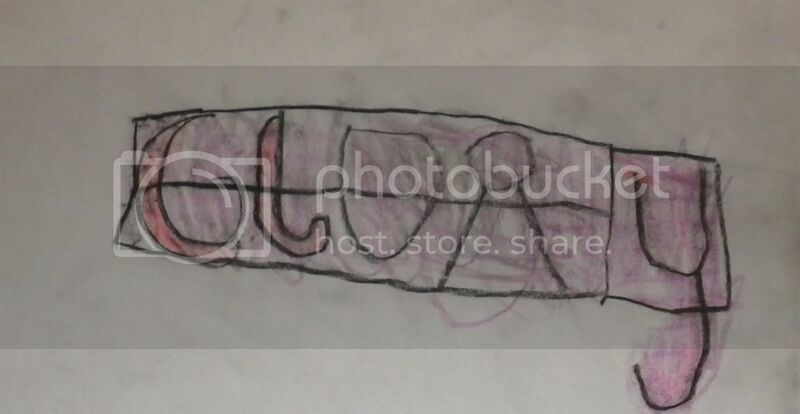 I also like how art opens up the creativity in each of my children. We don't have a formal curriculum for art yet and would love to start with a product that is biblically based. I just discovered see the light shine materials today and think they look good. I have a daughter with much interest and maybe skill in drawing who wants to do more. I have not been as consistent as I should be. Winning this would be a jumpstart and also an avenue of evaluating this program in general. Thank you for the chance. He IS Risen!!! I need this to add to my collection of See the Light Art videos...LOL!